For people who like to chill and who like quality. Not a party atmosphere. Relaxed vibe, clean, organized. I mean after 28 years, it’s not surprising they’ve perfected the hostel environment and operation. The vibe was great and the hostel was nice and quiet. It is very close to the Central shopping centre and has some specials during the week e.g. pizza nights, live music, free pool and more. It’s totally worth a visit and when I come back to Aus I will go back there. 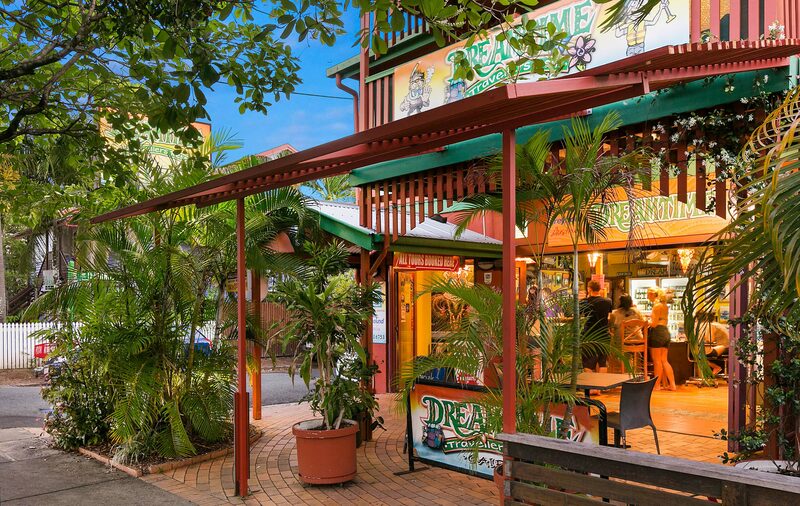 Dreamtime hostel was our first on our trip and we had an amazing experience. The staff is so lovely, talkative and helpful and the whole place has a kind of bohemic/chill vibe. Everything is clean and we did not see even one insect the whole week we stayed. It’s quiet and not really for party people. We HIGHLY recommend this hostel! Good time at this hostel cozy and clean, friendly staff, feels like home. On front of Cairns Central Coles etc. Really really nice atmosphere hostel Perfect for backpackers who needs a nice place to rest. Highly recommended. We stayed at the DTR twice in September–before and after our night out on the reef. It was lovely and we’d recommend it as a budget option for others in the future. Clean, as advertised, quiet, and secure. This place can hardly be called a backpackers, its so much better than that!! With a new big kitchen upstairs and two smaller kitchen downstairs, 4 communal fridges and the fridge in the deluxe room, beautiful chill out areas and a free pool table and weekly activities it invites you to stay longer than I had planned. All the day tours out of Cairns where booked for us at reception and we loved every day of our stay. 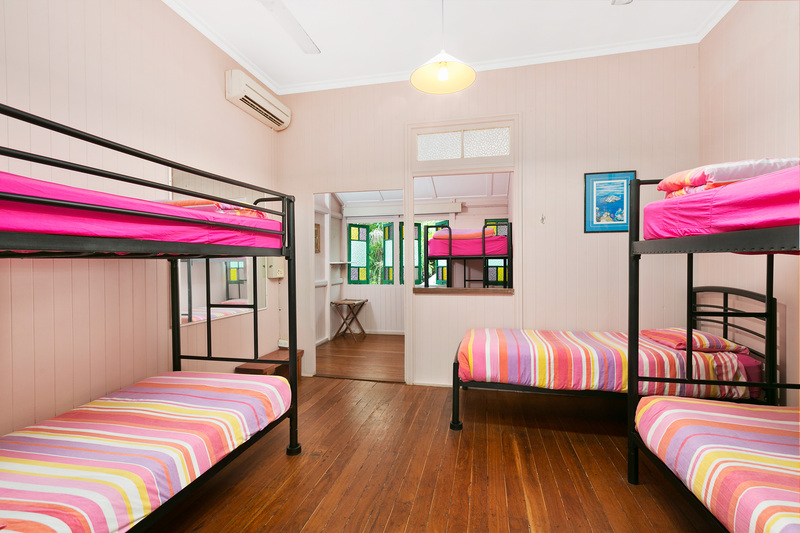 I had to come to cairns for my sisters birthday and decided to try dreamtime hostel. The staff are total amazing I really liked the free internet computer at the front and free coffee. The manager on the front desk has an amazing personality and will make you laugh. Hope to be back soon. Stayed here several times over a period of 3 weeks. Staff (especially Gabi and JJ) were very helpful sorting out my complicated schedule. It’s a short walk to the part of town where all the action is, but far enough away that you can get some peace and quiet if you need it. Overall, a great place to stay – the only change I would make is to have Wi-fi available in the rooms rather than just the public areas. 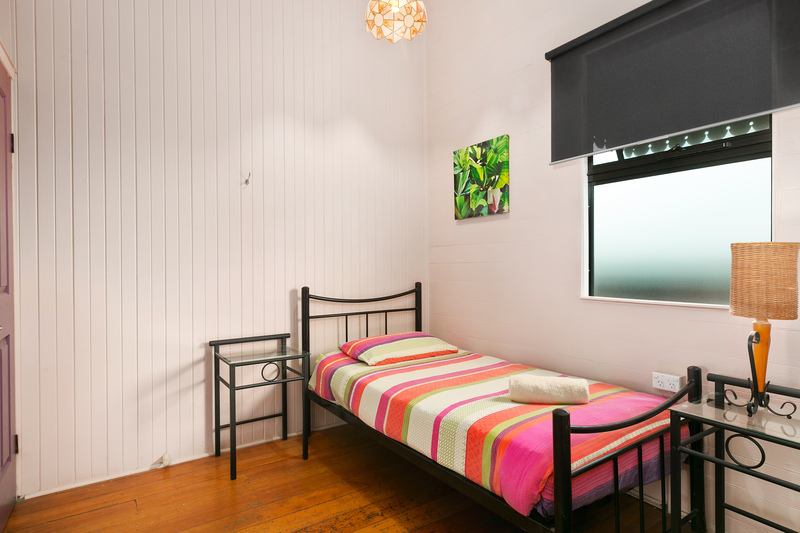 Cute Location, it is just a 15 minute walk to the Esplanade and just a few metres to the Shopping Mall. Very Friendly staff, the room (i had a single room) was nice. The „living room“ was so cozy, there is a Little Pool. Can’t recommend Dreamtime highly enough. The staff were bubbly, welcoming and always had a smile, and were so helpful when it came to booking a trip and hiring a car. The bed was really comfortable, there was really good wifi, the bathroom facilities were spacious and clean, and the pool was superb for cooling off. The biggest thing was the general feel of the place – I felt so calm and relaxed here. Could not recommend this place enough. Me and my friend stayed at this hostel for three nights and it was a great experience I would highly recommended. The hostel was clean each section of the rooms had it small kitchen with refrigerator shower and toilet which were very clean. Gabby the manager was very helpful she gave us insight of the activities around town. 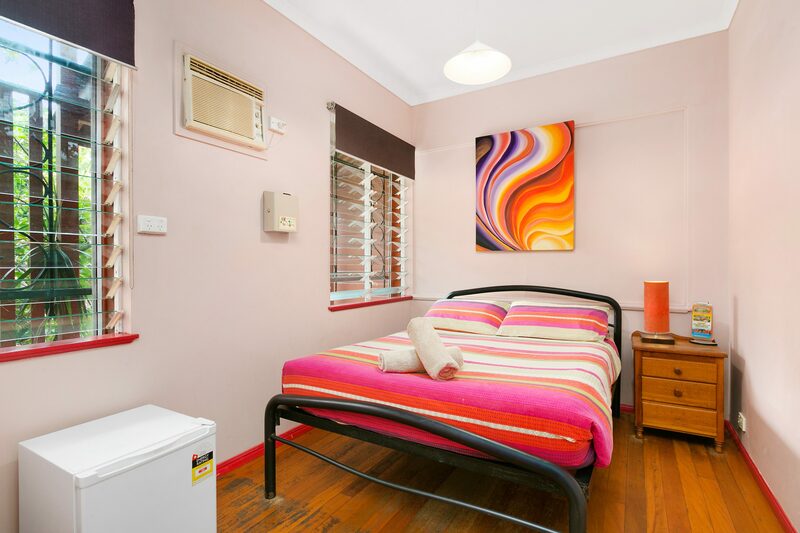 Rooms have air conditioner; however you need to pay for it separately which is very affordable. Clean, quiet, charming and fun. Gabby is the best. Very friendly and helpful, often going above and beyond to help with matters not even related to hostel stay. Activities like BBQ, movie, fire dancer, pizza night throughout the week. Would stay there again in a minute. I loved this hostel! After staying one night in a horrible hostel down the road we were delighted to be greeted by Gabby the amazing friendly receptionist and immediately felt at ease – this place is brilliant! The vibe was very relaxed and friendly and staff were always willing to give you advice on tours and travel or just have chat! Great location. Clean and tidy. Staff were helpful and the hostel was quiet at night! 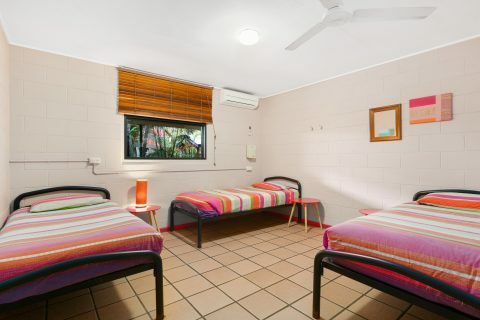 If you’re looking for a relaxed and friendly atmosphere while in Cairns this is the place for you! There is a massive open communal area with a kitted out hippee van which is great to relax in. The staff are all lovely. Gabby at the front desk is brilliant! She’s hilarious and great to chat to. She seems to know everyone in the hostel and knows loads about all the local trips you can book. We booked two recommended by Gabby and they were both brilliant. We were so sad to leave this hostel as it truly was a home from home. I’ve stayed in a fair few hostels and this is the best yet! 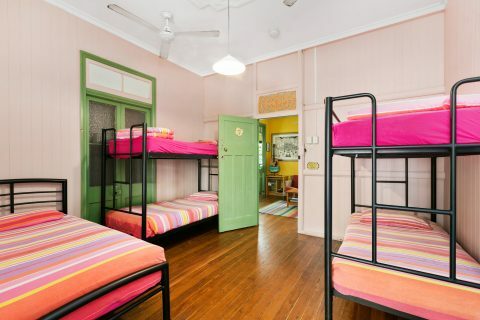 Would come back to this hostel 100%. “Friendly Knowledgeable Staff, Great Location! “Time to dream away.. ? 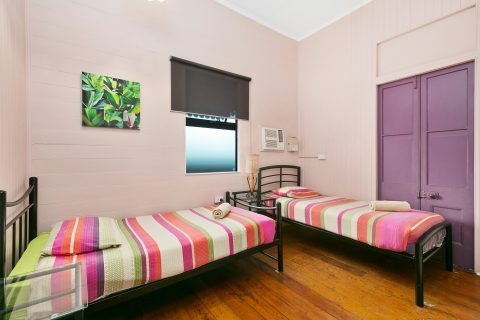 “This hostel has a really relaxed vibe and is perfect for chilling out in. The movie nights are a great idea and the BBQ is good value. Location is good to, right beside a massive shopping centre with a coles and it only 15 minute walk into the marina. 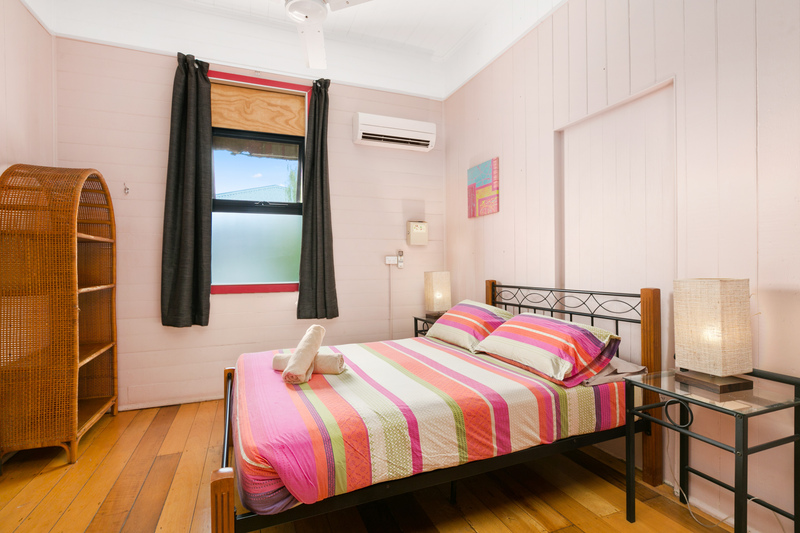 Dreamtime Travellers Rest is an award-winning, small and friendly backpackers accommodation. 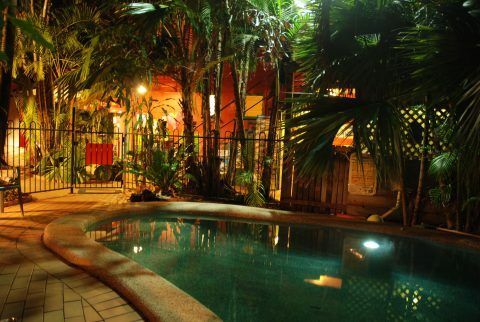 We are renowned for our unique, relaxed and homely atmosphere set within a lush tropical oasis. 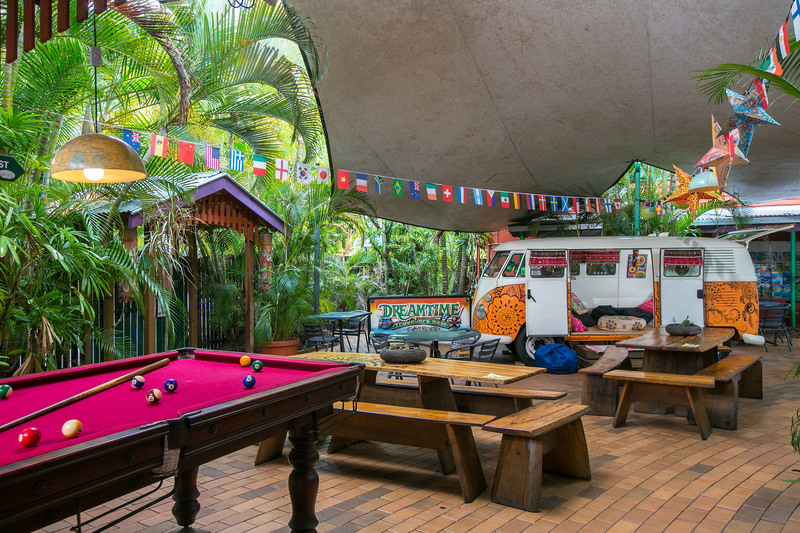 Our team pride ourselves on our local knowledge, providing you with good honest advice on the best places to eat, top pubs and clubs, or the many natural attractions in and around Cairns area. Passionate about our business and sustaining our local environment we understand our responsibilities to help preserve and protect the planet from any harm. Committed to making a difference and being a green leader.